Between the Haitian Dean who lived in the USA for 30 years and loves food and the American English teacher who loves arts and crafts, we were able to bring some of America's favorite holiday to Haiti! I swear I got more questions about how to make a hand turkey than about any other homework assignment I have given this year. And they were beautiful turkeys! At lunch time, the staff dished out the good eats for the students! Turkey, macaroni and cheese, salad, and of course rice and beans! The students enjoying their festivities! AND THEN WE HAD CAKE! This year more than ever, I am grateful for a million different things in my life. I am thankful for my wonderful family, who are simultaneously my biggest cheerleaders and the first ones to deflate my ego. And who are also slightly silly folks. I am terrifically thankful for this amazing thing called the internet, that allows me to keep in touch with everyone near and far at any given moment! 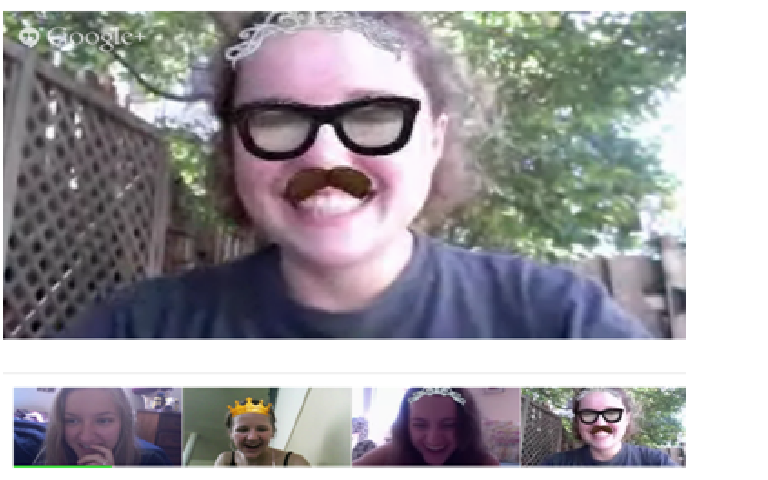 Google Hangout even lets you wear costumes when you chat with your college roommates, making it really seem like you are back in your living room! The more I teach and explore the school system in Haiti, I am incredibly, incredibly thankful for the amazing teachers, professors, and educators who have led, challenged, and inspired me over the years. I am thankful for my students, who put up with my imperfect French grammar and new teacher shenanigans, and are respectful and conscientious enough that we can do fun things like watch The Notebook trailer or listen to Katy Perry or make hand turkeys for Thanksgiving and they not only have fun, but get something out of it. I am thankful for Haitian food, because it is the best. I am thankful for Haitian friends who love to dance and sing and laugh and play as much as I do. I am thankful for my amazing friends all over the world who are doing truly incredible and remarkable things, from teaching elementary school in inner-city Baltimore to doing hospice care in South Africa. I continue to be inspired by the amazing and challenging things that you do and the love that you put into your work. I am thankful for the tremendous support I have received from so many people in so many ways during this journey. And thanks for reading my blog! I am thankful for the natural beauty of Haiti, for its spectacular beaches, never ending mountains, myriad stars, spectacular sunsets, and forever warm weather. Did you wear shorts and a tank top for your Turkey Trot? Because I did.